HCR OLATHE IS ROCK STEADY EXCITED!!!! 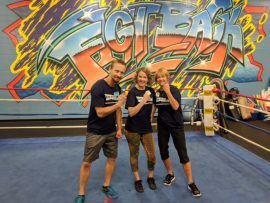 Rock Steady Boxing (RSB), a 501(c)3 nonprofit organization founded in 2006, gives people with Parkinson’s disease (PD) hope by improving their quality of life through a non-contact, boxing-inspired fitness curriculum. RSB’s mission is to empower people to “fight back” against Parkinson’s disease and enriches both individuals and the community by improving the wellness of older adults. RSB is the only organization in the world well-positioned with an effective, replicable model to address the quality of life needs of men and women dealing with Parkinson’s disease today. 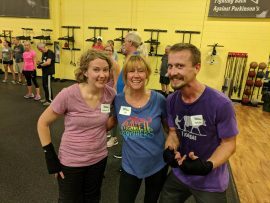 Bring RSB and hope to your community by becoming an affiliate of Rock Steady Boxing.